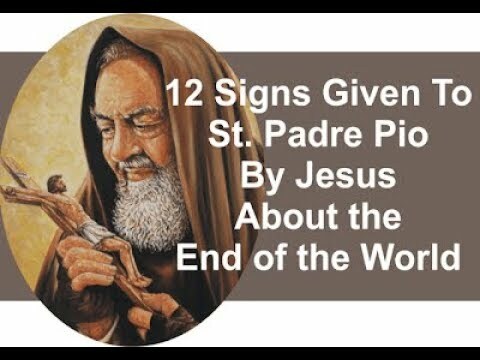 TradCatKnight is a traditional Catholic website that covers: the apostasy in the Catholic Church, the coming one world religion/ New Age, False Prophet & Antichrist, prophecy, real 3rd secret of Fatima, Zionism, Islam, patriotism, various endtime subjects, latest earth changes, health, GMO’s, prepper/survivalism, geopolitics, economics, geo-engineering, illuminati, freemasonry, mainstream media brainwashing, Agenda 2030, new world order, Planet X/Niburu, FEMA Camps, Mark of the Beast, phony alien disclosure forthcoming, project bluebeam, HAARP/SCALAR weaponry, weather wars, chemtrails, Vaccines, global depopulation and MORE! All LIVE & replayed “live call in” shows, all live streams, Eagle messages, never before seen writings & poems from my book “Fortress of the Soul”, exclusive writings which will not be accessible anywhere else, advertise for free, my personal “whats app” number, comment on all posts, LIVE INTERACTIVE CHAT, be published yourself and MUCH more. Only 5$ a month which is 50% lower than other sites! THIS IS THE BEST 5 DOLLARS YOU WILL SPEND MONTHLY BY FAR. STRIPE IS A FAST, EASY, SAFE & SECURE PAYMENT PROCESSOR WHICH ACCEPTS YOUR BANK/CHECK CARD SO NO WORRIES!